The Terrier Hockey Fan Blog: Terriers fall, 6-4, in a wild one; game three at 4 p.m.
With a chance to advance to the Hockey East semifinals, BU fell behind early, rallied to come close, but dropped a 6-4 decision to Lowell in a game marred by an ugly incident in the final minute that could affect today’s deciding game three. Both the Terriers and River Hawks will face elimination in the contest that begins today at 4 p.m.
A pre-game gathering, sponsored by the Friends of BU Hockey, is set for Beerworks at 203 Cabot Street in Lowell at 2 p.m.
► Lowell forward Lucas Condotta, whose hit from behind on Bobo Carpenter, ignited a near brawl in the final minute, has been suspended one game by Hockey East. Actually, BU played well the first ten minutes of the game, despite being behind 1-0. They had good drive from their own end of the ice and had sustained possession in the UML d-zone. As is their habit, however, they failed to generate top notch scoring opportunities. However, the rapid-fire penalties to Krys, Fabbro and Curry ensured that the play would be in the BU end of the ice for several minutes. Curry’s penalty was awful given that BU was already on the PK, and occurred along the boards far from the BU net. UML made BU pay for their transgressions with a power play goal and another even strength goal five seconds after Curry’s penalty expired. In the second period, BU used two power play goals and an extra attacker, delayed penalty goal to make the score 4 – 3. 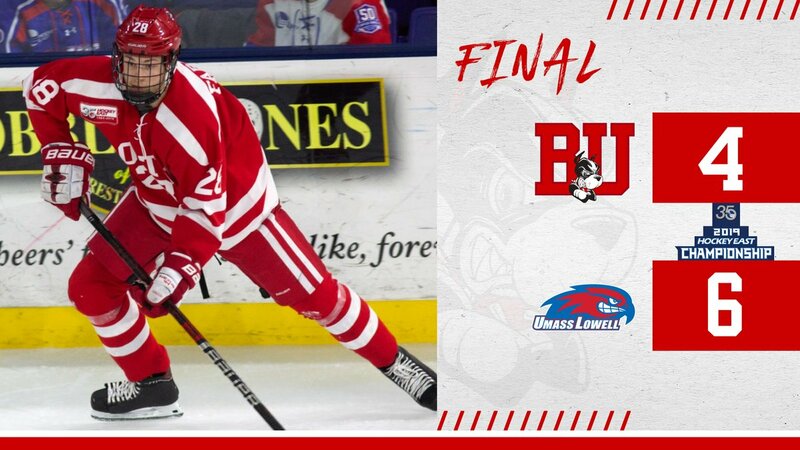 However, UML responded with goals twice shortly after BU PP strikes to prevent any sustained BU momentum.